3D Design was founded in 1998 by a team of designers with a passion for motor sports and experience in racing, both domestic and international. 3D Design develops and produces products designed to be utilized effectively on the street as well as the track, all the while making the drivers experience the number one priority. All of 3D Designs products go through rigorous testing on the streets, time and cost are not spared in order to achieve their high level of quality. Furthermore, 3D Design uses eco-friendly materials in to minimize environmental impact. Their philosophy is in order to achieve perfection they cannot focus on minimizing costs and or development time. This is reflected in their attractive and efficient tuning components as well as dress-up parts for the BMW performance market. A front lip spoiler is the perfect way to add exterior style to your car in a subtle manner. 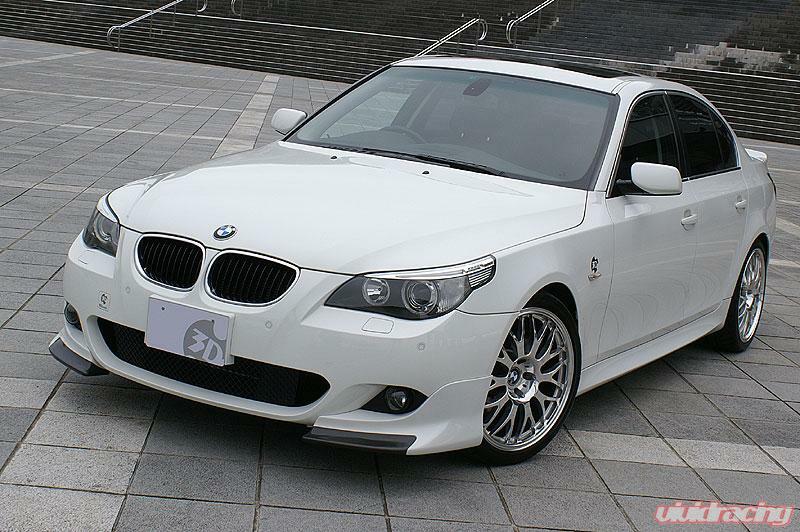 A front spoiler gives a daily driven vehicle a more aggressive race inspired look. Aside from changing the look of your car, front spoilers increase traction and handling by adding down force to the front end of your car. This puts more pressure on the front wheels giving the driver more control. Contact Us with any questions. Weight reduction is the most effective way to improve a cars performance. Weight reduction increases acceleration, throttle response, handling, braking, and fuel economy. Carbon fiber is key to improving performance that is why it is found so frequently in modern race cars. Carbon fiber is much lighter than the heavy factory components it replaces. The benefits of Carbon fiber are twofold. Not only is it lightweight, but it is also very strong and gives your car a unique look. Its unique weave pattern is known by car enthusiasts worldwide. But, if you prefer, it is possible to paint over carbon fiber to keep the stock look of your vehicle. It is recommended that you clear coat carbon fiber to protect it from UV rays that may deteriorate it over time. 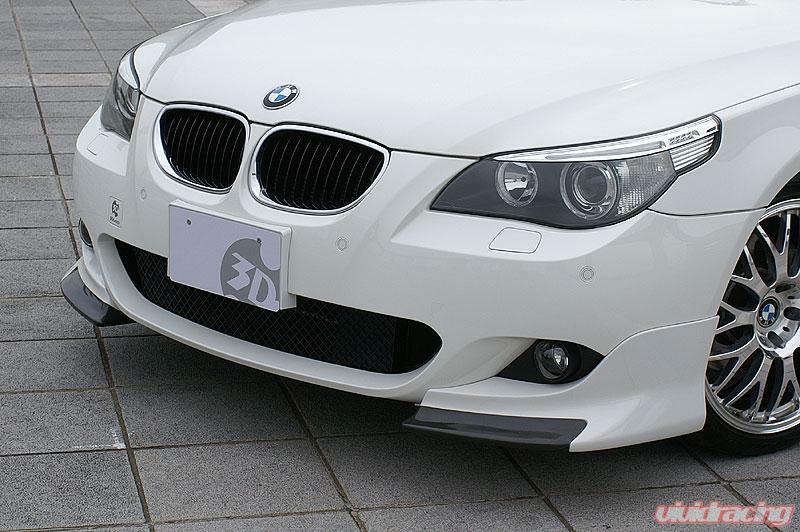 This front splitter attaches to the front left and right of the M-Sport front bumper. Mixture of Urethane and Carbon Fiber construction.